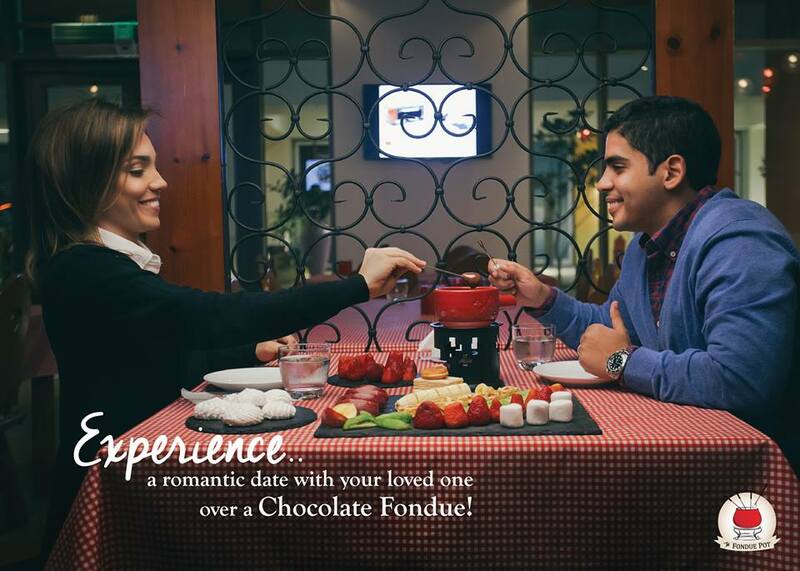 With cold weather and valentine’s day coming up, it’s the perfect occasion for family, friends, or lovebirds to huddle around a melting pot of fondue. The sensible food of the Swiss can be enjoyed all around Egypt! Why wait for Valentine’s day? 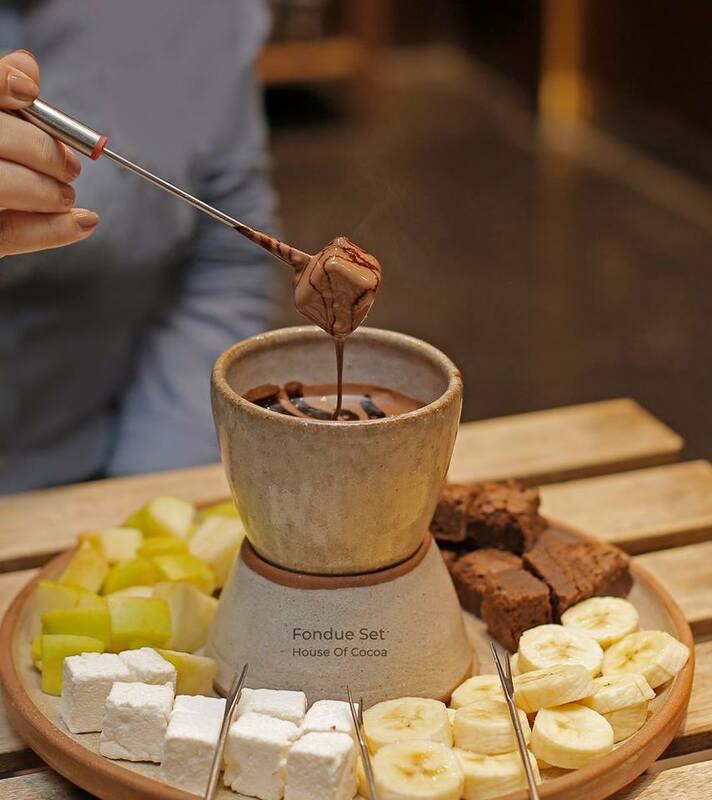 Treat yourself to some heartwarming chocolate or cheese fondue; here are the best spots in Cairo where you can indulge in some fondue love. It’s all in the name! The chocolate heaven is expanding all over Cairo introducing chocolate covered everything you can imagine! Pass by for a quick bag of crisp chocolate covered almonds or their to-die-for simmering chocolate fondue. Located in Maadi, is the cutest shop full of stringy gooey cheese fondue goodness. The small and cozy atmosphere will put you in the perfect mood for that. Savory or sweet, The Fondue Pot has endless melting creations. Now, the perfect party snack can be enjoyed at home with their latest fondue box! It just doesn’t get more chocolaty than this! Live out all your chocolate fantasies at Brew & Chew; whether in the main branches in Alexandria or in Cairo’s. The chocolate explosions are endless, and with home delivery options, you can enjoy winter desserts delivered straight to your doorstep! No introduction needed! Dip your heart and soul in chocolate of your choice! 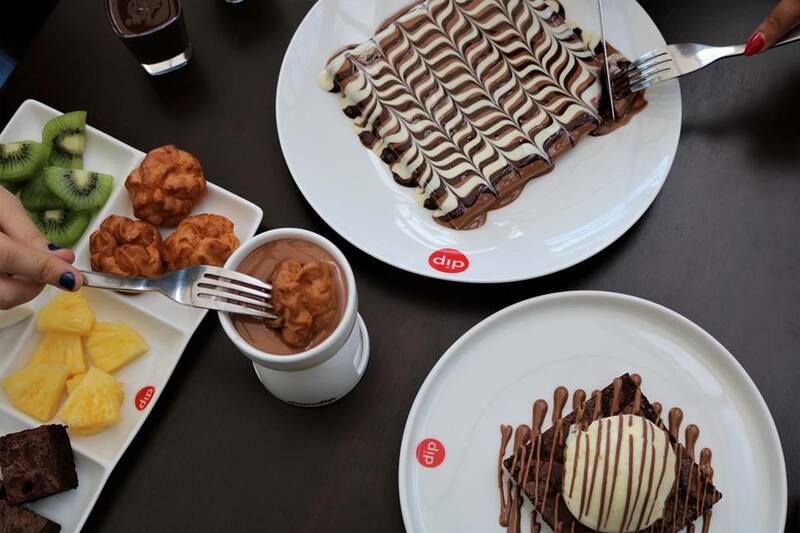 In addition to chocolate fondue, devour the three chocolate waffles or cream-filled buff balls. Located in Gouna, what a perfect winter holiday getaway spot! Warm up to a cheesy fondue while absorbing the fresh sea air. Covered in fairy light and red and white plaid it’s a Swiss mood for sure. Local hotspot, Andiamo, is serving dipping fun all night long with the latest addition, fondue, to top off their heavenly pizzas! As nights get colder, head to Lakeview for live music, wine, and fondue. Talking about the ultimate date night spot for a cozy experience! 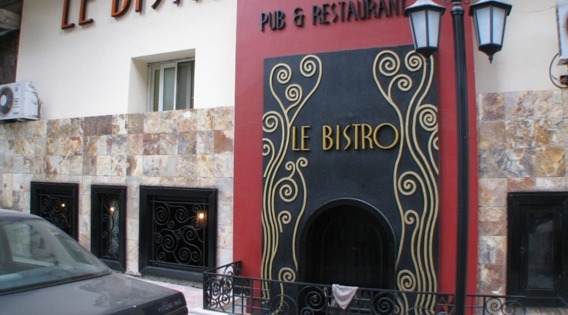 Fresh food, fresh beer, the quiet pub in heart of Cairo is perfect for cocktails, finger food, and chocolate fondue! WE SAID THIS: Dunk your cold self in these heated pots this weekend!